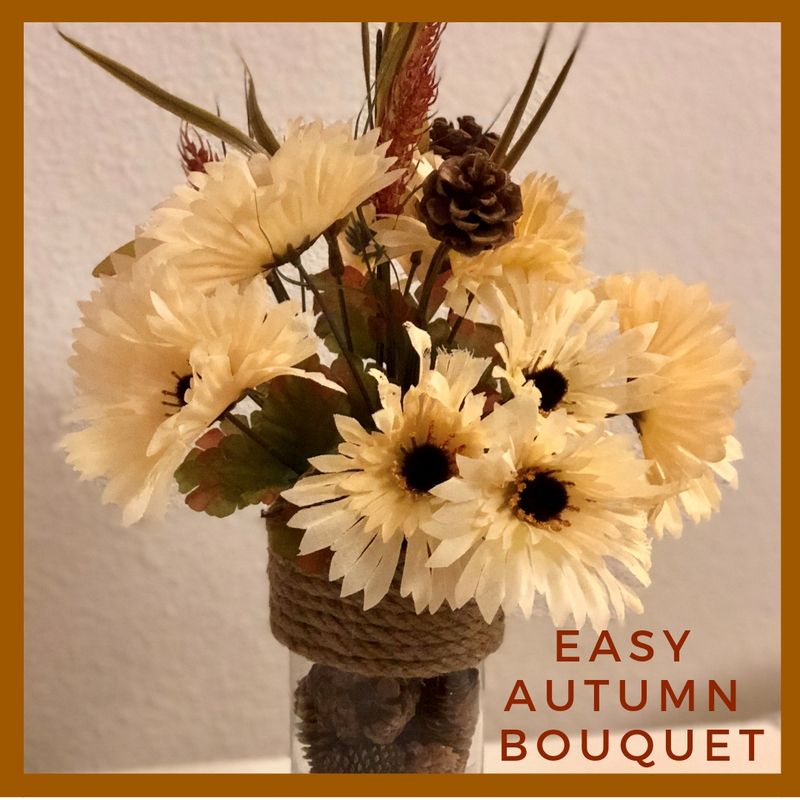 For some reason, autumn is my favorite time to DIY. Perhaps it’s because fall decor can be displayed for the changing of seasons from the end of September, through Halloween, until after Thanksgiving. If you’re going to have decor out for two and a half months, you better love it! To me, nothing shows more love and dedication than making something by hand. Plus you can be as picky as you want with your decor and make it just perfect for your personal style. 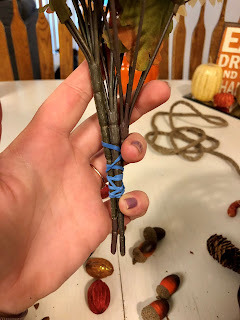 Either way, if you can my last post (DIY AUTUMNAL GARLAND) you will know that I recently visited the dollar store. While I was there I picked up a few excess pieces. 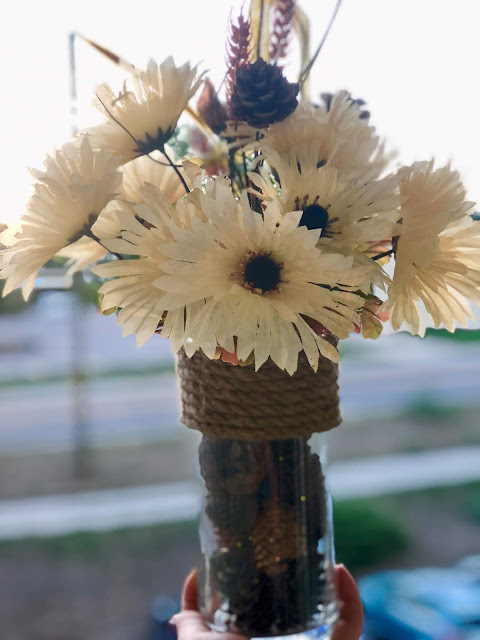 Because, listen Linda, ain’t no better way to create lovely but cheap decor items than with junk treasure from the dollar store. Now are you ready for the easiest DIY eva?! 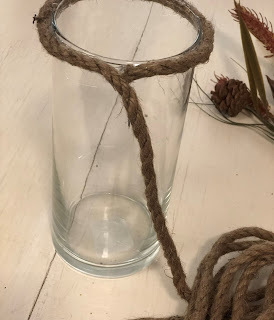 Step One: Glue the rope to the vase. Pipe a thin line of glue onto the glass and adhere the rope to the glue. Continue in a circular motion around the vase until you have used the entire rope or the vase is covered to your liking. 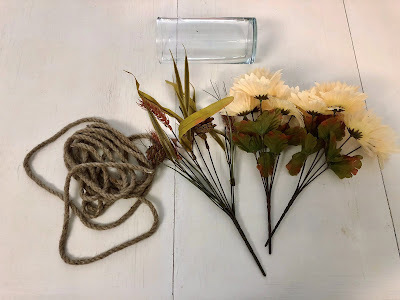 Step Two: Assemble your flower bunches to your preference. Once you have them looking nice, secure the bottoms with a tight rubber band to ensure they don’t shift as you place them in the vase. Step Three: Pine Cone placement. Fill the bottom of the vase with pinecones, aligning them so they are vertical. Insert your bouquet of flowers. Add more pine cones to ensure the flowers do not fall over or shift when moving the bouquet. And there you have it: a super simple festive bouquet!